College Of General Dental Practitioners (Singapore) proudly presents a comprehensive orthodontic continuum program, commencing August 2016. 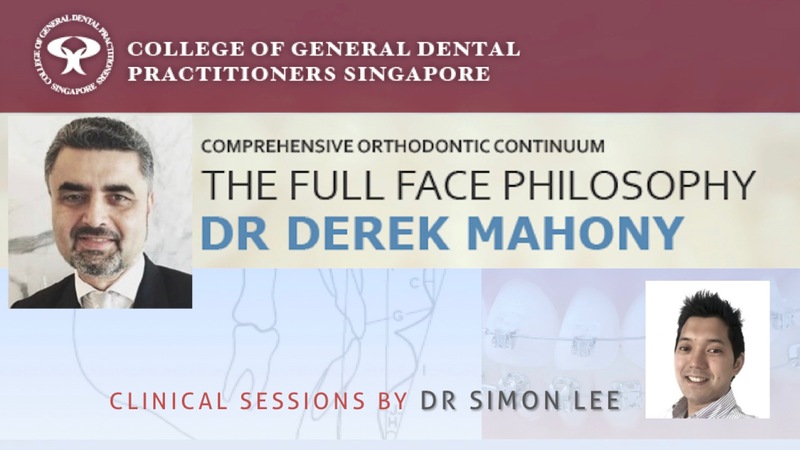 This 3 year program will be conducted by Specialist Orthodontist, Dr Derek Mahony. Dr Derek Mahony has been teaching general practitioners in orthodontics for over 20 years and has been heard by thousands of dentists worldwide. His mini residency program in orthodontics has met with great success in the U.K, U.S.A, Australia and Hong Kong. This 3 year program consists of twelve structured learning modules, which includes lectures, practical components and assignments. Participants will be taught on orthodontic diagnosis, treatment planning with focus not only on alignment of teeth but also on facial balance, as well as identifying the cause of malocclusion. There will also be emphasis on preventive or interceptive orthodontics. In addition, participants will be taught on management of Class II and Class III malocclusions, retention strategies, biomechanics and TMD management etc. Participants attending this comprehensive program is expected to present cases of their own over the 3 years period as well as familiarize themselves with given journal readings. For more information on the full outline of the course content, do have a look at the brochure and sign up early to secure your seats to learn from a world-renowned speaker! Registration is now closed due to overwhelming response. Thank you for the support. © 2019 College of General Dental Practitioners Singapore. Web Design by Pixart Pte Ltd.